BiglarKinyan is an award winning boutique design and renovation firm specializing in creating extraordinary projects on realistic budgets. We are a fresh and forward thinking design/build firm that is driven to create extraordinary spaces, including designer interiors, unique kitchens and extraordinary bathrooms that provide a high end emotional connection for our clients. Our strength is listening to our clients’ needs and developing an architecture that is an expression of their lifestyle and stylistic preferences combined with BKDP’s own unique design sense. Integrating design with build services, and adding a diverse accumulation of suppliers and products, we strive to design inventive and creative way. The design/build model streamlines renovations and provides singular responsibility, maintaining design integrity during construction. This simplifies the entire process for a more enjoyable experience. Providing solutions that are unexpected and refreshing, while keeping projects feasible, within realistic budgets and timelines is our key priority. Both Partners of BiglarKinyan Design Partnership carry distinctive personalities and innate ability to envision styles, concepts, and trends. They are members of the exclusive Association of Registered Interior Designers of Ontario and hold degrees in Architecture. Their work has been published internationally , seen on television, and won various awards. Fardid Biglar has volunteered for Habitat for Humanity since 2003 and has been a member of the site selection committee. He is regularly interviewed and cited by magazines and newspapers for his opinions on design and design trends, and appeared on HGTV’s The Decorating Adventures of Ambrose Price. Partner Kenneth Ho has won international design competition for his industrial design work hosted by Swarovski Crystal, as well as O.D.M., an avant-garde watch manufacturer. He is also the winner of the international ERA rug design competition hosted by Weavers Art. His ‘New @GE’ rug is now a part of the permanent collection. With BiglarKinyan Design, perfection is found in the details and that is where we strive to be. We are a Full Service Interior Design and Construction Firm specializing in renovations, additions and new builds in the Greater GTA. Allow Carriage Lane to work closely with you to create a unique space, custom tailored to your individual needs and style. Colliding the worlds of architectural and interior design- with exterior living, Bravehart Design Build provides a turnkey Design experience. Laura is the principal Designer and Project Manager throughout the entire project. Bill is the exacting General Contractor. Our experienced trades give more than 100% to ensure your home transformation is well executed. We stand by our work and ensure all projects run smoothly and on budget. Home transformation projects from $200,000 and up are our forte. Here at Perspective renovations, we work with, and guide you, throughout each step of the renovation process. WE DESIGN IT | WE BUILD IT | WE FURNISH IT | A WORLD OF REMARKABLE INTERIOR DESIGN SERVICES Seducing those who value crafted sophistication, Toronto Interior Design Group is the “IT” of all interior design firms. We impact lives through build and design. With more than two decades of consulting experience, we are an upscale and established, full-service, residential petite interior design boutique that takes care of everything under one roof; we design exquisite and comfortable interiors, we custom build them, furnish them and manage the execution of the work from start to finish. Think of us as the facilitators who bring everything together. We will make it look easy -- although it isn't. We're expert at this. Led by principal designer Yanic Simard, our group of responsive designers and reliable trade professionals provide more than design. We anticipate your needs and provide a luxury experience. Joy should drive the design of our homes. Your residence is a powerful tool, a tool that allows for enjoying life in 360 degrees, all 365 days of the year. We will work in synergy and commit ourselves to bringing your vision to life. Your project will be streamline, on schedule and most importantly on budget. We want your experience working with us to be the best, so we take every measure to make it stress-free. Your comfort is our priority. Our custom tailored interiors range from minimalist to layered and are designed and executed with a timeless approach to have staying power. Utilizing styles, colours and materials that are considered to be ‘classic’ is what allows us to achieve this. Whether you are building a new house, retrofitting the interiors of your condominium, renovating your existing home, or looking to remodel a room with superb finishes and noteworthy furnishings, we invite you to indulge in our services and begin your design project by contacting our award winning firm. Is our group right for you? If you have an eye for style and know what you like, but you’re unsure of how to put it together nor have the time to invest in your project; plus, you’re looking for an enjoyable journey to savor and indulge in, then yes – please contact us today. York Region's Interior Design Specialist - Best of Houzz 2015-2018! Sensus Design & Build provides architectural design, interior design, and construction management services to clients across Southern Ontario. Our in-house approach allows our firm to offer each service separately, or as a package to home owners as well as professionals. This approach puts our team in control of the means to production. Our design and price-check model, transparent payment structure, app, and single contact approach increases accountability, flexibility and efficiency. This system gives our clients the ability to make change orders and material selection upgrades at cost while using our app to view the scheduling, financial, and on-site progress throughout the design-build process. With over ten years of professional experience we complete equity generating luxury projects while maintaining meticulous cost management, efficient project completion schedules, and competitive pricing. Let our team help you turn your dream, into your home! Avvio Fine Homes designs and builds quality custom homes in the Greater Toronto Area. We recognize the importance in your life of building a home, and the need to ensure that the home is designed and the project is executed to meet that standard. Our Process was created to meet your expectations, including budget, deadlines & communication. Poorly designed and managed builds result in significant stress and frustration, and can include long project turnarounds, exceeded budgets, client service issues, corners being cut, warranty repairs, worker injury, legal and insurance risks, and even an uninhabitable home. Avvio is Tarion-registered, licensed to build new homes in Ontario; every Avvio-built home will come with a Tarion Warranty. Contact us if you want to build the home of your dreams. We will ensure that your vision comes to life! The traditional design-bid-build approach to major home construction projects allows there to be more room for errors, in an already stressful and expensive undertaking. Design-bid-build require homeowners to find an architect and designer, pay a lot of money to develop plans (with no promise from anyone of what they might actually cost to build), enter a bidding war to secure a qualified, reliable, and reasonable contractor to actually complete the job, then manage communication between the designer and contractor. Finding responsive professional contractors proves to be much more difficult than you might expect. It usually ends up taking a lot longer and costing a lot more than you’d budgeted. It requires more of your time and effort to manage relationships with multiple partners, who are unfamiliar with each other to begin with, and conflict is virtually assured. It’s a stressful experience, and, since there’s no single party responsible for your satisfaction from start to finish, your expectations are unlikely to be met without countless headaches. Since 1989, Men At Work has specialized in integrated design/build services that renew and expand older homes in Toronto neighbourhoods. Our passion has lead us to become experts in managing the challenges of renovating sensitive, old buildings into beautiful, functional, comfortable living spaces. Our award-winning team works with homeowners to help solves space issues, and deliver fine craftsmanship and beautiful and functional home design. SanzaHomes is a Toronto based Design and Build team of professionals with a reputation for complete customer satisfaction and on-time, on-budget completion of a wide variety of projects. At SanzaHomes we specialize in home additions and making your dream home a reality. From plans and ideas to the real thing, no matter what the size, we will breakdown the project into easily understood priorities and timelines allowing you to feel control throughout the process. Our goal is to make our customer relaxed and confident during the work, while being extremely happy with the end result; whether you take on an entire remodel of the whole house or just a single project. Erica Gelman Design Inc. is a multi faceted boutique firm located in Toronto. Creating unique & tailored spaces,individually personalized to suit each client’s lifestyle is our defiant philosophy. Our design-build team is equipped with brilliant designers, visionary decorators, skilled contractors, top-notch workrooms and fabricators to ensure our vision is executed with the highest standards. House of Design by Erica Gelman specializes in residential projects from custom décor, full renovations including kitchen & bathroom, home extensions and even building from the ground up. 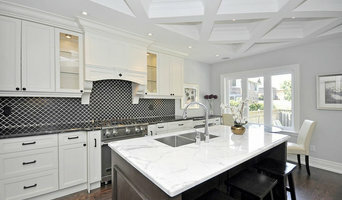 House of Design produces luxury design in Canada and the US, taking pride in quality, service and attention to detail. Principal Designer Erica Gelman, a graduate of the esteemed International Academy of Design & Technology leads the talented team at House of Design. Erica prides herself on a keen eye for detail; combining formal training with her flair for style and impeccable sense of colour to create truly unique spaces. Erica Gelman’s work can be seen in numerous national lifestyle publications. Her design approach is simple yet sophisticated; a combination of lush textures and bold patterns infused together to create timeless designs. Invite House of Design by Erica Gelman to be part of your dream lifestyle. 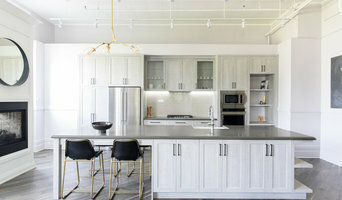 Best of Houzz 2018 & 2019! Bridgemont Properties is committed to renovating and/or building homes of the utmost quality. We are a motivated team of professionals that are dedicated to making your dream home a reality. Utilizing our 3 divisions – Schematics, Contracting and Interior Design Studio – we offer one-stop, full-service work. We handle all or just some of the phases of the design/build process - whatever they need. 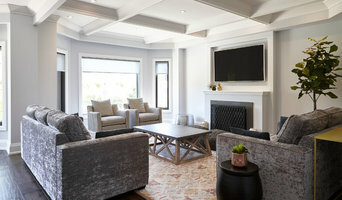 In addition to working with clients, Bridgemont Properties also renovates their own homes for the purpose of re-sale. The principal owners of Bridgemont, Rocco Morra (contracting) and Marion da Ponte (interior design), bring a cumulative experience of over 50 years to each project. Our experience, along with that of our qualified staff and trades, ensures that each project is executed seamlessly and with outstanding results. We are very passionate about our projects. We work on every home as if it were our own, ensuring quality craftsmanship. With Rocco's easy-going nature and Marion's out-going personality, jobs run smoothly, clients' stress is minimized, and communication is open and engaging. Whether it’s a custom renovation, addition, or whole home transformation, Georgian takes care of everything you need, every step of the way. For decades, Georgian has been custom renovating homes with unparalleled craftsmanship. Specializing in additions, renovations, and complete home transformations, the process is meticulous from start to finish, with their signature, one-of-a-kind flare for design, and the comfort of a five-year warranty and fixed-price guarantee. View our unique 10-step design|build process to ensure your total satisfaction from start to finish: <a rel="nofollow" target="_blank" href="https://goo.gl/WGvJdv">https://goo.gl/WGvJdv</a>. Come and visit our spectacular showrooms located in the Improve Canada Mall & the Castlefield Design District. Visit our website: www.georgianreno.com for more information. Intrinsic Designs is a full-service, interior design firm dedicated to delivering turn-key design solutions tailored to each client's style, budget, and aspirations for their space. We are committed to delivering stunning results by translating our clients’ personal style into designs that balance form, functionality and investment into perfect harmony. A well-designed space will not only bring more joy to your life, but also increases the value of your investment. No matter how big or small your project may be, we’ll be there every step of the way by offering services that will help you realize the full potential of your space - from consultation, concept, to execution. What is design and build? A design and build company does pretty much what it says on the tin – designs and builds your home; helping you design your own house from scratch, pick out the small details and actually bring your dream home to life. They will take on the responsibility of planning the project, drawing up the designs, costing, sourcing the building materials and supplies, building the structure, installing any permanent features and possibly advising on the interior design of your home; all while consulting you every step of the way. A design and build company in Toronto, ON will usually employ in-house architects to handle all of the technical design aspects of your renovation or build, whether that’s to design a house or just a kitchen, and will also have main contractors or project managers that will oversee the construction work. The project managers will either work with external building contractors or construction companies, or the design and build company may employ their own builders to carry out the construction work. Either way, all the work is managed by one company and so this means communication is easier and the work is more streamlined. You’ll probably have just one design and build contract, making responsibility simpler and clearer, and also reducing costs for you. However, you should always check this design and build contract closely to see exactly what the firm is agreeing to take responsibility for, so that you don’t get left in the cold at any point. 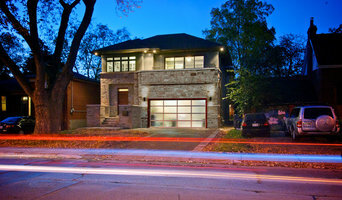 You don’t have to build your own home to hire a Toronto, ON design and build firm. If you are renovating one or a few rooms of a house, a design and build company in Toronto, ON can still help you – they can design a kitchen, bathroom, bedroom or living room and then complete all of the renovation work for you. This could be a really good option if you are selling your home and want to increase its value quickly – hire a design and build firm in Toronto, ON to redesign and renovate a few rooms of your house without the hassle of dealing with various professionals or the time-consuming effort of doing it yourself. If all of this sounds ideal, then start searching for design and build procurement companies in Toronto, ON that can design a house, or room, for you and discuss design and build contracts with you. If you want to look for more specialised contractors, designers, architects or builders to help you renovate or build your own home, then you can still find them on Houzz. Here are some related professionals and vendors to complement the work of design & build: Interior Designers, Landscape Architects & Garden Designers, Architects & Building Designers, Photographers. How long have you been an established design and build company in Toronto, ON? How does your business work? Do you have architects, designers and builders in-house or are you a project management company? Will you help me to build my own house? Will you handle the interior design of my home as well? What will a design and build contract involve? Do you use a Joint Contracts Tribunal (JCT) approved contract? Have you worked on similar projects to mine before? How long do you estimate each part of the process to take? Will the design aspect overlap with the construction? Can you give me a written estimate for the whole project? What happens if the final cost exceeds my budget? Who should be my main point of contact throughout the project? Find a design and build company on Houzz. Narrow your search in the Professionals section of the website to Toronto, ON design and build contractors. You could also look through Toronto, ON photos to find a project you like, then contact the design and build company in Toronto, ON that created it.